This pack of 13 Handwritten Multilingual Fonts is ideal for packaging, logotypes and kid’s party invitations. NERRES Font is a handwritten, only uppercase display font. This multilingual font includes both Greek and Latin character sets. 360 glyphs in Latin, Greek, punctuation marks and numbers. MIRON Font is a handwritten display font. This multilingual font includes both Greek and Latin character sets. 380 glyphs in Latin, Greek, punctuation marks and numbers. 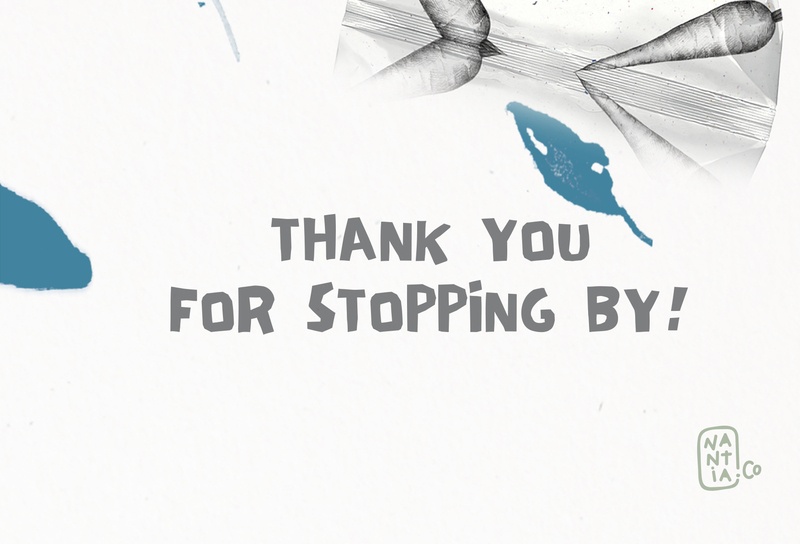 ZANZA Font is a handwritten, only uppercase display font. This multilingual font includes both Greek and Latin character sets. 380 glyphs in Latin, Greek, punctuation marks and numbers. UMY Font is a handwritten, multilingual, display font. This multilingual font includes both Greek and Latin character sets. 380 glyphs in Latin, Greek, punctuation marks and numbers. AVAE Font is a multilingual font. 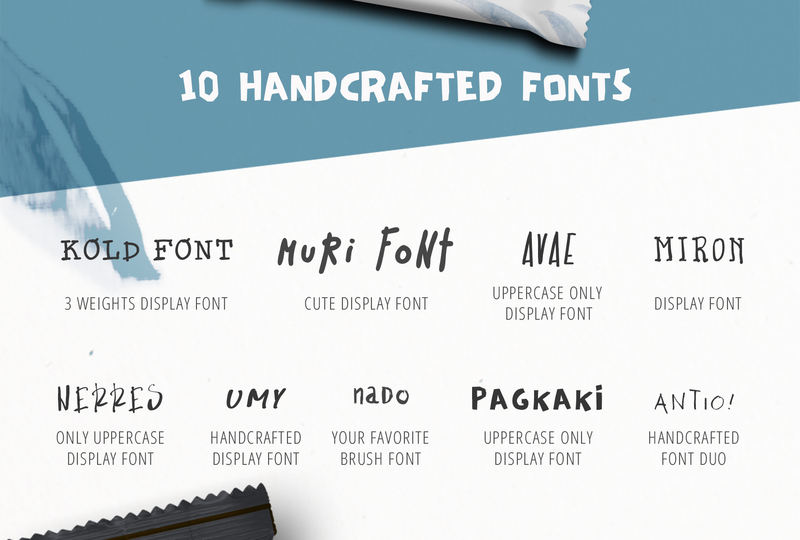 This uppercase only, handwritten display font is ideal for packaging, logotype and crafts. 380 glyphs in Latin, Greek, punctuation marks and numbers. PAGKAKI Font is a display font, with Latin and Greek characters. This multilingual font supports only uppercase characters, at the moment. 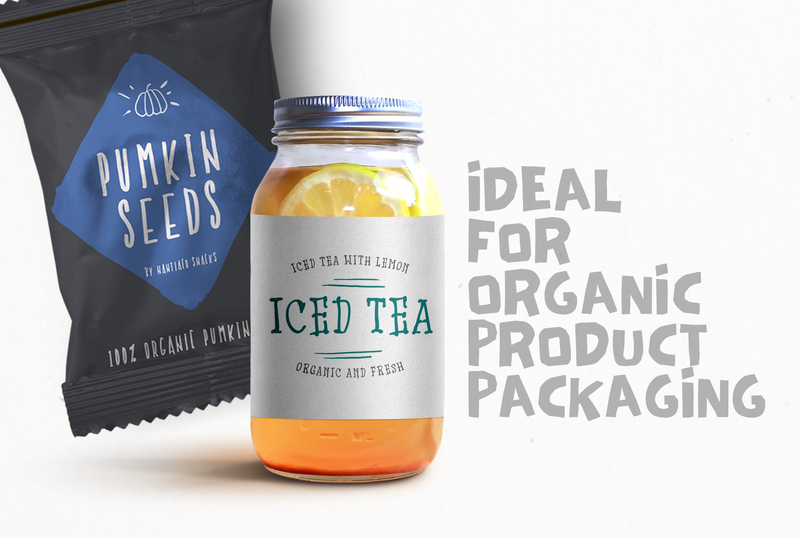 The hand crafted style of Pagkaki Font is making this font ideal for packaging, logotypes and bold graphic design statements. 360 glyphs in Latin, Greek, punctuation marks and numbers. naDo Font | your favorite brush font is a handwritten, multilingual, display font, with Greek and Latin characters. 340 glyphs in Latin, Greek, punctuation marks and numbers. 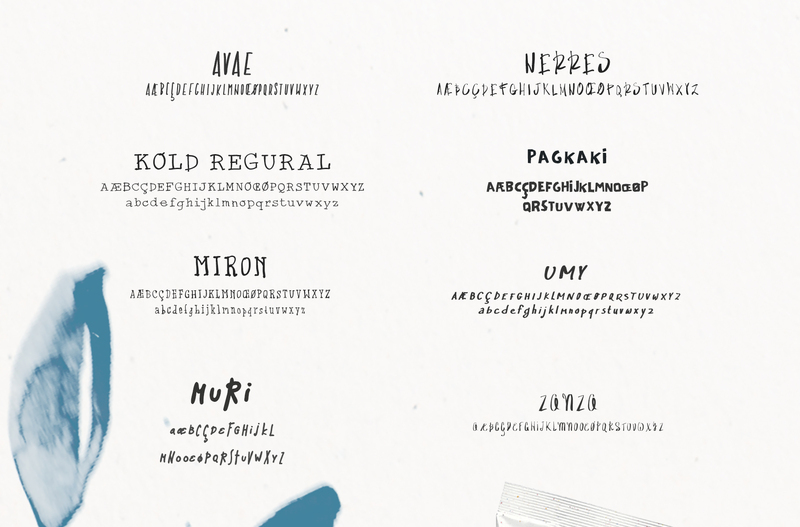 MuRi Font is a handwritten display font. 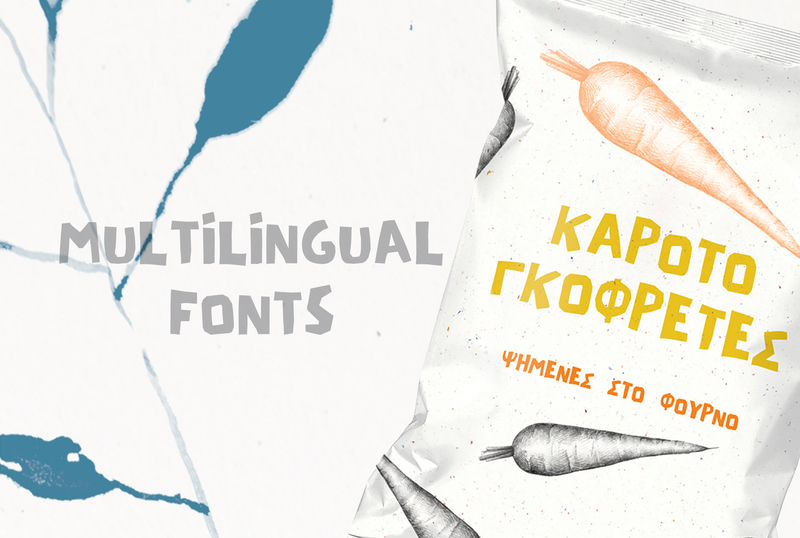 This multilingual font includes both Greek and Latin character sets. 370 glyphs in Latin, Greek, punctuation marks and numbers. Please note that the background and the mock-ups of the presentation are not part of the pack.